Anyone who has ever taken a boat trip on rocky oceans will know how really terrible sea sickness can be. Now imagine having that feeling of nausea every single day. That’s what one grandmother with a strange syndrome has to suffer. 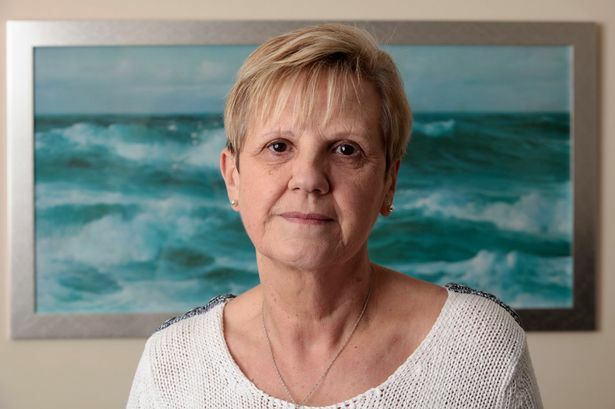 British grandmother Diane Morley has felt permanently seasick since going on a cruise to celebrate her 62nd birthday in 2012 & developing motion sickness. Now 64-years-old, she’s been diagnosed with Mal de Debarquement syndrome, a weird medical condition, that there’s no known cure. It will persist for days, months, and occasionally years. It’s an extremely rare condition that is sometimes triggered by long-haul flights and/or boat travel, however it can also be caused by motion-based games, or fun fair rides. Diane and her husband Dennis were caught in evil storms on the 2nd night of their eight-day cruise to Norway in 2012, and she never recovered from the sea sickness. “It’s 24 hours, it does not come and go, it is always there. It is just awful, I still feel like I’m out in the ocean waiting to be rescued. When she is out, since she falls over and knocks into people, people often think that she is drunk . She also fights with basic chores around the house and has given up alcohol and coffee because they make the condition worse. Morley still feels herself rocking & swaying when she lies down to sleep. Weirdly she only feels ‘normal’ when she is in motion – travelling in car or on the bus. But, she admits, the situation became so severe before she was diagnosed, she thought of suicide. ”I just got so down about it, I was just thinking about suicide. I could have never gone through with it but I just felt like I had lost my life,” she says. When her balance didn’t comeback to normal 2 days after the cruise in 2012, Diane visited her doctor but he was not sympathetic and dismissed it as a joke. Finally Morley was diagnosed with Mal De Debarquement syndrome last year by an expert at Kent and Canterbury Hospital. Now she helps educate others concerning the little-known disease as a member of the MdDs Balance Disorder Foundation .